A few weeks ago I was asked to shoot some promotional material for a great couple who run Mustard Seed - Katherine & Peter. This meant I got to go and spend time with them at home and to see them in action cooking and creating. Walking into their home is a pleasure - there is a very welcoming atmosphere and an anticipation of what you will get to taste! As well as learning the whole process is fun and excites you about food and all its possibilities. The class I photographed below was adults making pasta, however there are lots of classes including ones for you and your children. I had been to one of these previously - sausage making with your child. It was a lot of fun however I was participating rather than photographing that one so unfortunately do not have any images to show you. I can however vouch for the class itself (my teenager has not spoken to me that much in ages!) and the sausages were very tasty! Soon Hubby and I are off for our first supper club at Mustard Seed - I cant wait! Enjoy the images and please do check them out (link below). Who knows maybe we will be in the same cookery class or all eating supper together soon! Beautiful home cooked food - they make and bottle their own marmalade. A great addition to the cookery class is that you get a laminated copy of the recipe to take home with you. Trying out the pasta machine! and yes men come to class as well as ladies! Finished pasta - lots of shapes and sizes. After all that hard work the class gets to taste what they had created, Katherine ensures they have a lovely meal. My favourite was the filled pasta - sublime. Lots of wonderful reviews in the visitors book. Setting the table for a private function or a themed supper club. 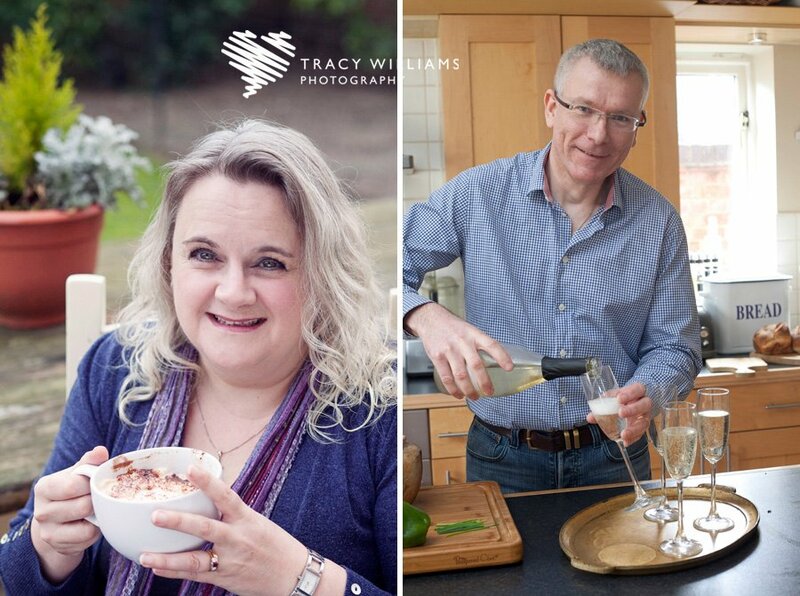 If you run a business and would like some similar relaxed lifestyle images of what you do please do contact me - info@twsp.co.uk 07812 723103. In their words what they do is this - 'Here at Mustard Seed we LOVE food!, We love to welcome you into our home and around our table. We love to demonstrate and teach you fabulous recipes. We’re all about sharing and enjoying great home cooked food from all corners of the globe; Bold flavours and authentic ingredients; Rustic, generous dishes presented with love and care, not clinical precision!